No lead car to follow. Allot 30 minutes to 1 hour for professional driver training. Allow 3 hours for entire experience. Drivers must be at least 18 years old. Located off Hwy. 501 next to the Tanger Outlet is one of the newest attractions in Myrtle Beach, South Carolina. 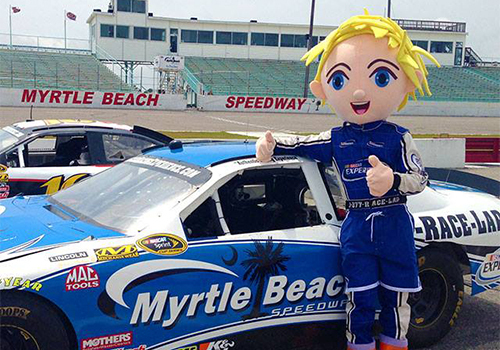 Come and experience a Ride or Drive in a real Authentic NASCAR race car driven by some of the top racers in NASCAR. Dale Jr., Jimmie Johnson, Jeff Gordon and other NASCAR`s greatest stars. Passing is allowed - Yes! Sign Up Today To Experience a Thrill of a Lifetime!!! All drivers are required to pay a $35 drivers fee which is included in your Reserve Direct E Ticket. Fee includes insurance, RE Ear buds, and souvenir racing license. Drivers fee is included in the price. Requirements: Drivers must be 18 years old and have a driver's license. Drivers license will need to be provided when checking in. Walk up with an E-ticket and ride on first come first serve basis. Check in 30 minutes to 1 hour before you will like to use your Reserve Direct E ticket. What kind of race tracks will I be driving on? 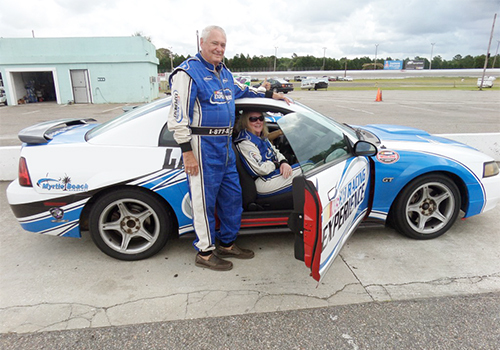 How long does it take to do a driving experience? With timed driving sessions, you should allow over 3 hours. This includes the drivers meeting, training and instruction. 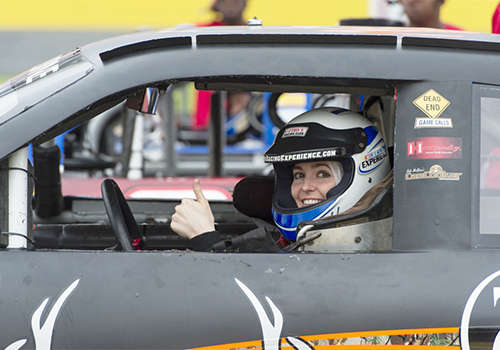 Yes, all drivers are required to bring a valid driver’s license to the racetrack and present when checking in. No. 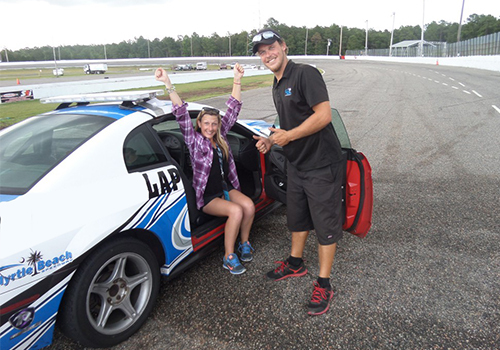 NASCAR Racing Experience provides you with everything you need except shoes and gloves. *Race shoes and Gloves are NOT required. 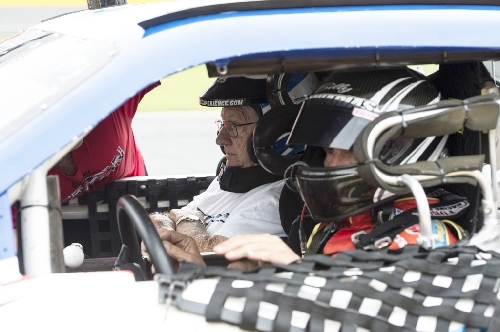 Can I drive if I have hearing aids? Yes, but we will need to know in advance so we can plan accordingly. Drivers communicate with spotters using RE ear buds. You will be required to remove your hearing aids. If you can't hear clearly without the hearing aids, we will set up a lead follow experience for you. Please call us in advance if you have concerns so we can plan ahead.